"If the earth's not nourished you'll never grow beautiful flowers." Above is the little philosophy that comes on the packaging of the hair growth treatment and I suppose when you think about it, it's true. If your hair is damaged it won't grow. I know there's a lot of reviews out there about this product but I'll just put my opinion on it out there too as I think products work differently for everyone. This gorgeous, thick intensive treatment with Pro-Growth™ complex gives your hair strength from within by fertilising your follicles, creating a healthy environment on your scalp to help hair grow faster and reach its maximum potential length.Its soothing formulation reduces irritation and moisturises the scalp, helping to keep it healthy and improving the volume and feel of your hair. Well I'm almost at the end of my tub of this stuff now so it's had a good test before I've reviewed it. My first point on this is the price. It's £7.99 for 200ml and for the amount you're supposed to use it will run out fast. It reccomends you use it every day until the condition of your hair improves then use it once a week after that. However since I bought it I've used it every other day and I use a bit less than the egg sized amount that is recommended. Also I don't slap a load of this on my scalp as my hair does get greasy very easily, I just use a small amount there and the rest goes on the length and ends of my hair. I have quite thick hair and do get a lot of fall out with it (it's a good job I've a lot to spare!) I always have and probably always will and I do have to say that sometimes when I use this the fall out seems worse as in when I rinse my hair and run my hand through it quite a bit more hair seems to be on my hand then usual. Now I've not gone bald or anything, as I've said this is something that is quite normal for my hair but this mask does seem to make it slightly worse sometimes. So it's something to be aware of. The first few times I used this I completely loved it, my hair felt amazing, it smelt lovely and most importantly the ends of my hair felt really really soft. This is the one thing I always seek improvement on as the very ends of my hair are really dry. However after around the first week of using it I stopped noticing the smell in my hair and my ends didn't feel as soft. I have no clue why this happened but it did so again it's something to take into consideration. Overall I do like this product and I am a little sad that it's all gone but it could get very expensive repurchasing this so it's best to wait until there's offers on in Boots. I wouldn't praise it as much as some people have, as obviously I found some negative aspects to the product but like I've said different things work differently for people. I was under no illusion that this mask would make my hair grow to Rapunzel lengths in the time I've been using it and that isn't what I bought it for, I wanted something that would improve the general condition of my hair without weighing it down or making it greasy and I've found that in this product. So despite a few small negatives I would definitely repurchase this as I do feel that it's worked on improving the condition of my hair and it's one of the best hair masks that I've tried. 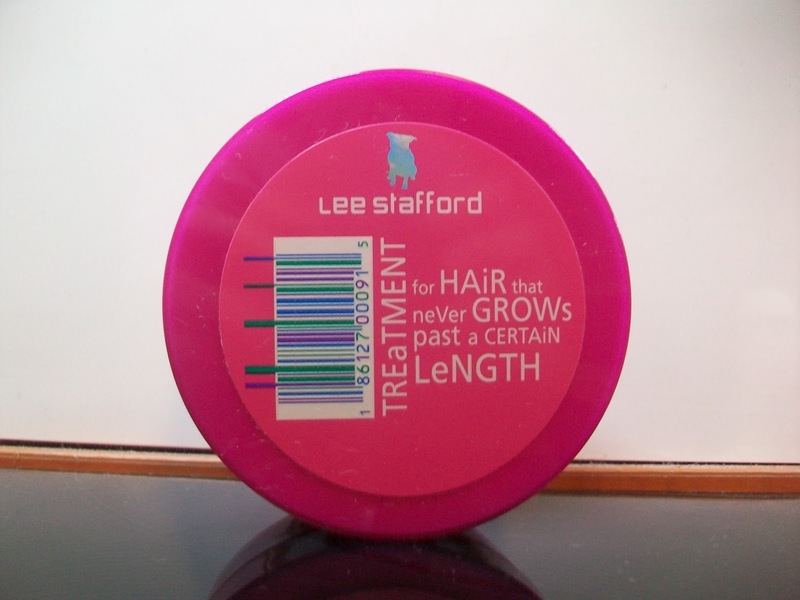 I've used this before and I did quite like it but it didn't make a massive improvement to the condition of my hair but it did grow like a mother! I probably wouldn't rebuy though. "The first few times I used this I completely loved it, my hair felt amazing, it smelt lovely and most importantly the ends of my hair felt really really soft. This is the one thing I always seek improvement on as the very ends of my hair are really dry. However after around the first week of using it I stopped noticing the smell in my hair and my ends didn't feel as soft. I have no clue why this happened but it did so again..."
which really explains this much better. Hi thanks for your comment but I never bother with ingredients lists in my reviews. I am aware of silicone's in hair products. At £7.99 it's a given that this product will contain silicone as more natural products cost a lot more. Since writing this review my opinions on the product have changed slightly so I am going to edit it, I find for the price it's a good product. If you are against using silicone based products then I would suggest this probably isn't for you.